Welcome to the web home of Liska Shelties. My name is Carol Williams, and I live in Devon, Alberta, Canada, near Edmonton. 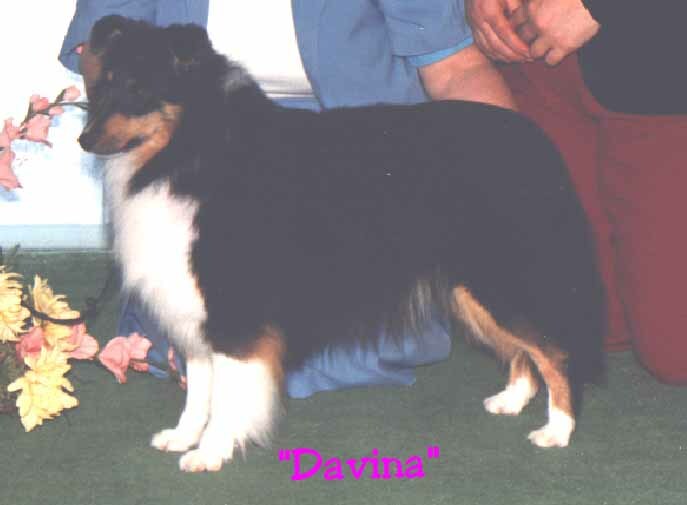 I purchased my first Sheltie in 1975, and showed and trialled her to her breed and obedience trial championships. I produced my first litter in 1984, which included my first homebred champion. I share my home with my dogs, and they are all couch potatoes. Liska averages one or two litters per year. I breed mainly blues and tricolours, but also have the occasional sable litter. More recently, I have begun breeding biblacks and biblues. Liska has produced champions in all colours: sable, sable merle, tricolour, blue merle, biblack, and biblue. My veterinarian regularly examines all my dogs and puppies, and attends to all necessary vaccinations during the course of their annual checkups. I show in Conformation (the "breed" ring), and trial in Obedience. More recently, I have begun competing in Rally Obedience (lots of fun!). In the past, I enjoyed Scent Hurdle Racing, and also dabbled in Agility and Tracking. Formerly I was an all-breed obedience instructor. I am a Canadian Kennel Club Rally Obedience judge, and a Canine Good Neighbour evaluator. I have been thrilled to see dogs I bred and sold go on to achieve breed championships, specialty wins, obedience titles, agility titles, rally obedience titles, and herding titles. See my Titles page for more complete information. My greatest joys have been the dogs I have owned and loved, and the many friends this hobby has brought me. The companion puppies I have sold have introduced me to some wonderful people. The show people I have met have also greatly enhanced my circle of friends. You will see many dogs on my website, some living with me, some with others. Some of my dogs are shared in partnership with their co-breeder Pam Cazes, Kimicko Shelties, and split their time between my home and Pam's. Pam and I have done several breedings together, and enjoy nothing more than chatting on the phone or at her kitchen table discussing the Shelties. I have also done some joint breedings with Brenda Muddle, Mudels Shelties, and we currently co-own a girl from one of our breedings - and as with Pam, we enjoy sharing a cup of tea at Brenda's table and discussing our plans for our dogs. You will find useful information on Shelties, canine health, insurance, and many other topics on my Links page - please check it out. Enjoy your visit to my website, and please contact me if you are interested in my dogs. Don't forget to sign my guestbook! Enter the code shown in the image above. Visit Davina's Page to learn about Liska's foundation.